Violent crime is up in several California cities this year, including Sacramento. 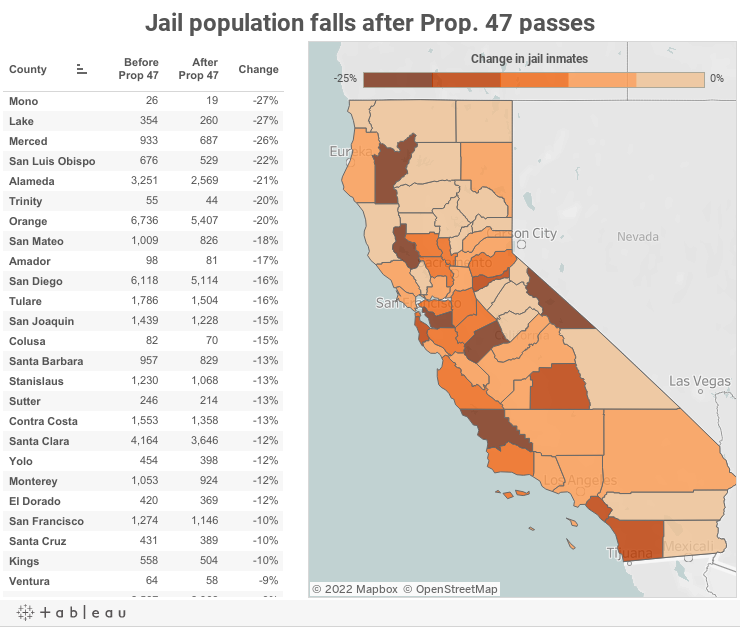 Criminologists say it is too early to know whether Proposition 47 is contributing to the trend, especially as violent crime is rising in many places outside California not affected by Proposition 47. This chart and map shows the change in jail population for each county from October 2014 to March 2015. Source: Jail Profile Survey, Board of State and Community Corrections | Shown is average daily jail population in each county.